UPDATED: Click here for the released Story in Full. 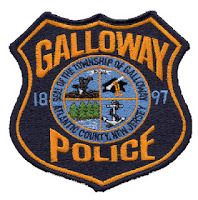 GallowayTwpNews.com has obtained an email describing specific reasons as to why PBA Local #77 and their Rank & File Shop Steward Kevin Welsh decided to withdraw a grievance previously filed on behalf of multiple Galloway Township Police Officers. The grievance as previously confirmed by Chief of Police Patrick Moran, was filed in reference to the last round of promotions that occurred in January 2013. According to the email, as of Wednesday, March 20, 2013, the grievance was slated to be withdrawn. GallowayTwpNews.com will be releasing the content of the email as well as documents and previous comments obtained by multiple Township Officials in reference to the Promotions.